I have the pleasure of introducing, Geri Dunlap Clouston, the president if indieBRAG. Geri,what prompted you to get involved in the self-publishing industry? A number of years ago my husband and I decided to self-publish his books and we soon found the process to be both rewarding and frustrating. As the self-publishing industry has rapidly expanded, so too has the problem of separating quality indie books from the many that are not worth a reader’s time and money. Our frustration became the catalyst for indieBRAG, LLC! Well, there is no question that self-publishing is here to stay and it will only get bigger as the process becomes easier and less expensive. If self-publishing companies begin to pick and choose what they feel is worthy of publication, they will become exactly what traditional publishers have always been; therefore, I believe the flood of books, both good and bad, will continue without any means of control. indieBRAG, LLC arose out of the belief that there are some real gems in the coal heap of self-published books. We set for ourselves the ambitious task of finding these gems and telling the reading public that they deserve attention. But we quickly discovered that industry projections that only 5% of self-published books are well written and properly edited were quite true. We then began inviting book clubs and individual readers to join us in this search and we now have a large group of readers located around the globe! To-date we have evaluated over 400 books and we have honored 58 of these. Once a book is honored our goal is to tell the world! Do you feel that indieBRAG is working to set the standard for quality books? Once the decision from all the readers of a particular book are in, it must receive a unanimous “yes” for it to receive a B.R.A.G. MedallionTM. I think you will agree that getting any group to unanimously agree on anything is a pretty significant accomplishment. To protect the integrity of our process, our readers remain anonymous. They may not say they read for us and they may not have any contact with the author. In this way, they can make a judgment without pressure from us, the author, or other reviewers, bloggers, or readers. Obviously the pro is that you can get your book published! To go the traditional route has become virtually impossible. The changes occurring in the traditional publishing industry have made it unlikely that they will take a chance on a new author unless they are confident the book will make a profit. Self-publishing, on the other hand, gives everyone the opportunity of seeing their book in print. It is said that 80% of us feel we have a book in us and now we all can realize that dream. There are quite a few cons to self-publishing that an aspiring author needs to take into consideration. They must be prepared to do all the work and pay for everything, including the cover, editing, printing and promoting their book. Importantly, once the book is available, the author needs to bring it to the reading public’s attention. This can be very time consuming and often frustrating. What do you think contributes to making a self-published author successful? Obviously first they must write a good book! Just because someone thinks they can write and publish the book they have inside them doesn’t mean they should! Successful authors work at knowing their craft. They study the work of others, and they listen to the advice of anyone who can help. They learn what is good writing and what is not. Only then, can they truly put out a book that is worth someone’s time and money. Conventional wisdom states that word of mouth is the single most important element in selling a book. Once an author has written the best book they can, they need to get the word out. This requires an understanding of social media. Then, as the book becomes known, it will succeed or fail on its own merits. Readers who enjoyed it will tell other readers and so on. 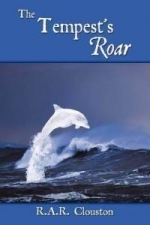 We consider the B.R.A.G.MedallionTM a proxy for word of mouth – providing enlightenment of the readers, by the readers, and for the readers of self-published books. Read, Read, Read! Learn what is good and bad from other books – especially self-published books. In this way a budding author can avoid some of the pitfalls other authors fall into by seeing them for themselves. Edit, Edit, Edit! Our experience has found that it is nearly impossible to proof read you own work so I would strongly advise authors that this is a good place to put their money. The cover matters! Authors must make sure that it tells their story and catches the eye. A great cover is often the first thing that gets a reader to look at a book. And self-published authors must remember they rarely get a second chance to make a first impression. Before they put their book out to the reading public and the scrutiny of critics, they need to make sure it is the best it can possibly be, and then believe in it! I have four married children and four beautiful grandchildren. I am the wife of a self-published author and, of course, an avid reader! I retired as an RN a number of years ago and during my husband’s business career we spent a great deal of our lives as “corporate gypsies”- moving and traveling around this country and the world. I am very proud of what we have accomplished so far with indieBRAG and I am thrilled to be able to help shine a light on deserving self-published books. But perhaps the biggest joy I have gotten from this exciting new venture is the ever-growing group of wonderful friends I have made among our readers and authors. Together we are working hard to bring the very best in self-publishing to the reading public. Please leave a comment in the comment area along with your email address to qualify your chance to win one of these great Kindle books shown below! Each book listed is the winner of the BRAG Medallion. Giveaways end October 24th! Vinegarone is not a BRAG book. The author kindly is giving this book as a giveaway. You will be able to purchase this book, October 6th 2012. 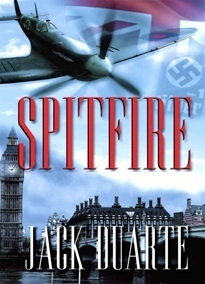 Spitfire is a thrilling third installment in Jack DuArte’s World War II Series. The setting is Great Britain in 1940, we meet Flight Lieutenant Anthony Nelson as he flies valiantly in the Royal Air Force. The RAF are in the heat of battle with the Luftwaffe bomber and fighter pilots and are giving ole Jerry a run for their money. In the middle of it all Nelson’s younger brother Fletcher joins the 54 Squadron, Anthony becomes fearful of nepotism. As events unfold they both find out that they are in love, which is great, but they are in love with the same women. As the book nears a close the reader will be flying through the pages of this final installment in the Spitfire series. Spitfire is a book about real historic events and the phenomenal men who fought to protect their country in a time of war. 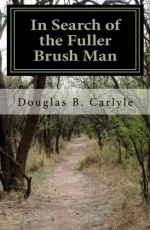 Though some parts of the novel were slow to read, it is obvious that Jack DuArte researched this book thoroughly. The masterful writing abut training and different episodes of flying the Spitfires during missions supplied the reader with a real glimpse into what life was like for pilots during World War II. The life at Hornchurch was penned brilliantly by DuArte. The love triangle between Anthony, Fletcher, and Prudence offered break in some of the more tactical aerial flying scenes. I would have liked the romance to be more developed and incorporated more into the story. Overall I thought that the novel was a good ending to the series. I am giving this book three stars. 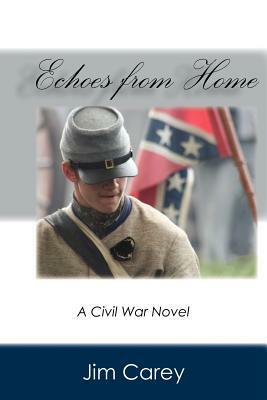 Echoes from Home, the first novel from Jim Carey, chronicles the life of a confederate soldier. I was expecting a very different novel from the one I read, but enjoyed the story all the same. The book reads like a memoir, mainly from the perspective of Joshua. The writing is well done and, in truth, at one point I felt the need check if this book was based on the letters of a real life civil war solider. The plot begins just before the war breaks out and much of the story takes place in the trenches (so to speak). Carey does a lovely job of weaving in Joshua’s relationships with his family, sweetheart, best friend, and even the family’s slaves. The story of Joshua Miller’s life is at times both heartbreaking and inspiring. War stories are not the genre of book that I would typically seek out, however I liked this book and found I gained a new perspective on the Civil War while reading. I would recommend this to people interested in war stories, the Civil War specifically, and historic romance. Charlotte nor Mr. Collins was never a favorite character of mine in Pride and Prejudice and so I didn’t know what to expect when I picked up this book to read. But I was pleasantly surprised! Karen Aminadra brings you a story of Charlotte Lucas who needed to secure her future and marries Mr. Collins. Who is cousin to the Bennett’s and a minister who is extremely annoying with his fawning over his patroness, Lady Catherine de Bourgh. Due to his behavior and Catherine’s interference, he and Charlotte begin to have problems with their marriage. Meanwhile, Charlotte forms close friendships with the people in the village and sees the misery of people around her due to Lady Catherine. Charlotte must make an important decision regarding if she will stay or return to live with her parents. In the end I found that I actually liked Mr. Collins and his behavior to be understandable in many ways. One of them being, he had a difficult childhood. Charlotte was getting herself in a sticky situation that left me thinking, “What in the world is she doing? !” But in the end she puts things to right and I began to like and cheer for her. 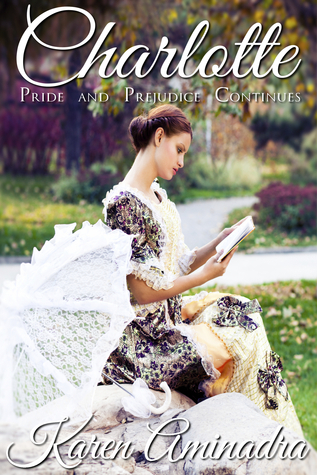 This continuation of Jane Austen’s story was enjoyable, entertaining and I found humorous in parts of the story. Aminadra’s voice and language of her characters was right on for this period and gives you a Jane Austen feel. I believe Austen would be proud of Aminadra’s characterization of Lady Catherine the most. If you are a Jane Austen fan, I highly recommend this story! All CEOs are rich and powerful; some are immoral and unethical. But what if a deadly few are killers on both sides of the law? Helen, I’m delighted to be interviewing you. Thank you! I would like to begin by asking you questions about your reading interests. What are you currently reading? Thank you for having me on Layered Pages, Stephanie. It’s a genuine pleasure to be here. Reading is a real passion for me and I can so easily lose myself in a book. I have a fairly ‘magpie’ approach to the books I choose – if I like the look of it, I’ll read it! I return regularly to historical fiction (Bernard Cornwell does this so well) and historical romance (I’m a big fan of Sergeanne Golon’s ‘Angelique’ series which was so popular in the 60s and 70s). Interestingly, until recently I would have said I don’t read a lot of fantasy novels but I’ve been completely swept away by the world created by George RR Martin and his ‘Song of Ice and Fire’ series (which TV viewers will know from HBO’s ‘Game of Thrones’). I’m working my way through George RR Martin, but am also trying to read other books too. I plan to read ‘The Athenian Murders’ by Jose Carlos Somoza, and also to finish another book I began on holiday called ‘The Untied Kingdom’ by Kate Johnson. It’s an alternative history novel which explores what might have happened if the UK’s history had followed a different path over the last few centuries (and there’s a bit of romance for the lead character Eve Carpenter too!). I tend to enjoy historical novels, but also thrillers, some crime, and some romance. I enjoy Young Adult books too, as they seem so much more exciting than a lot of novels intended for adults… and of course as a YA author myself, it’s important to keep up with trends. I read anywhere I can – on the bus, on the train, in bed, in the bath. I’ve even been known to read while cleaning my teeth when I was very captivated by a book! Do you have any bad book habits? Do you tend not to finish books? Skim? Scribble in margins? Fall asleep while reading? I always finish a book. I feel that if the author had the stamina to complete their book then I should at least have the courtesy to try and finish it. I’ve only ever broken that rule once, and that was with a really bad book. I’d rather not say what it was. My only bad habit is falling asleep while reading. I always try not to, but after a long working day (I also work as a publisher and writing mentor when I’m not writing) it’s so hard to stay awake, however good a book is! I actually like both, although if you’d asked me this question a year ago I might have given a different answer. I was quite resistant to reading on a e-reader, but as I work in the publishing industry I thought it was important to try them out and be aware of how technology impacts us as readers. I now read books on Kindle and iPad (and sometimes on my phone), but also read print books just as much. I think e-books are great for trying out new writers but I’ll often buy a print copy if it’s something I really enjoyed, because I want that sense of permanence. I also want to be able to share books, show them to friends, and lend them. It’s harder to do that with e-books. ‘The Black Banner’ is historical fiction for young teens. It’s set in the early 18th century and features penniless Becky Baxter who disguises herself as a boy and escapes to sea. 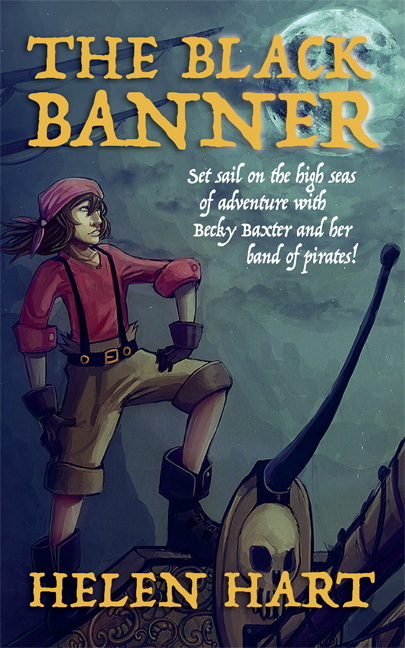 Her adventures begin when the ship she’s on is captured by pirates, and Becky (along with some of her new friends) has to join the pirates if she wants to live. It’s a swashbuckling tale that was exciting to write, and now it’s getting a lot of 4 and 5 star reviews on Amazon which is wonderful. Becky learns a lot by living with the pirates – that some people can be trusted, but others can’t; that to survive in a rough world you have to be resourceful and live by your wits; that family, support, respect, and love can come from the most unexpected people. I actually wrote ‘The Black Banner’ in 7 weeks. It was a tough deadline, and self-imposed by accident. I hadn’t written all of the book but sent the opening pages and synopsis to literary agents thinking it would take months or even years to get anyone interested. The first agent rang 4 days later and said she wanted to see the rest. I was terrified of losing her interest so didn’t like to admit there wasn’t much more… and instead just wrote day and night to get it done. Later, when I told her, she laughed and said she wouldn’t have minded waiting because the book was so good. The lesson I learned there was twofold: first, always be honest with your agent (she’s mother, best friend, advocate and cheerleader all rolled into one), and second, don’t send off your work until you have most if not all of it completed, polished, and ready for publication! 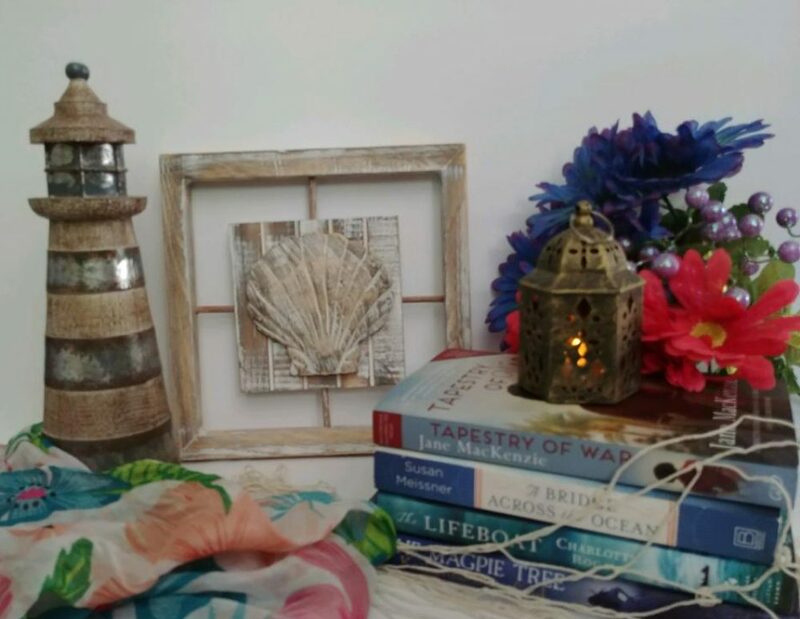 I lived in the Caribbean as a child and wanted to set a book there, but in the Caribbean of the past (because I’ve always loved historical fiction). Pirates and highwaymen have always fascinated me – they’re the ‘bad guys’ in reality, but in fiction they’re a good way to explore adventure, morality, and living outside of society with its rules. Were there any scenes that were a challenge to write? Quite a few scenes in ‘The Black Banner’ were challenging. In the past, people lived differently to the way we live now – life was rougher and customs more barbaric. There was no health & safety, or human rights. In order to be true to historical reality, some scenes needed to be violent or shocking… for instance, before the ship is taken by pirates, the captain has one of the ship’s boys whipped to death, and later in the book Becky kills for the first time. Those scenes were hard to write, but are an important part of the historical accuracy of the story. I’m currently taking a break from writing to develop my publishing business, SilverWood Books (www.silverwoodbooks.com) where I use all my own experience to help other writers improve their manuscripts and then either submit to literary agents, or to self-publish (but self-publish to a high standard so that the resulting book is well-edited and beautifully produced). It’s great fun, and I’m really enjoying playing ‘midwife’ by supporting other writers and helping them develop their skills and knowledge. Write what you know, and write what you love. Readers can always tell if you’re faking it, so write the kind of thing that gets your fingers tingling as the words flow onto the page. That way, your enthusiasm will shine through and you’ll captivate your readers. 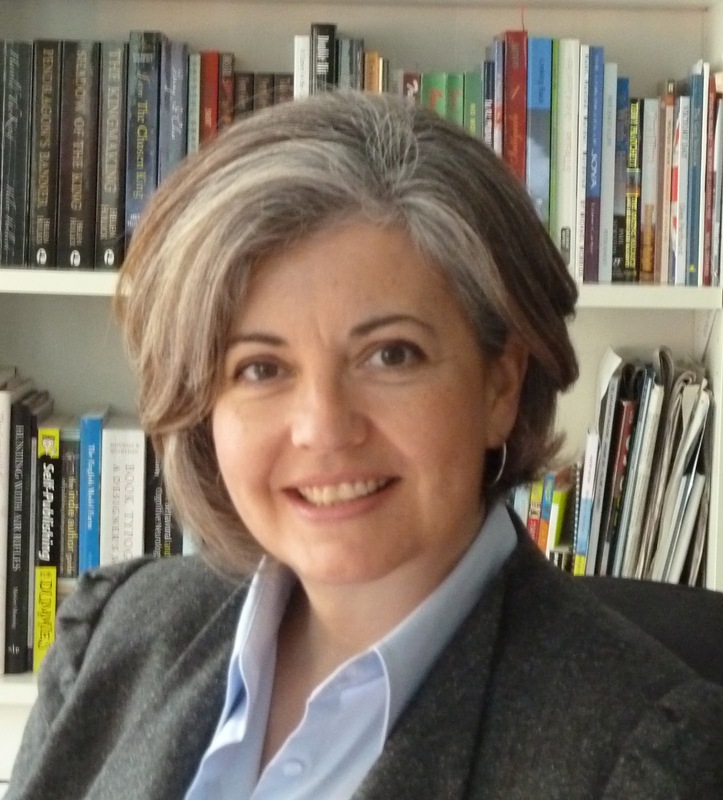 Helen Hart has been a published author since 1999. She has written a number of novels under pseudonyms for Scholastic, Virgin Books and HarperCollins, and one of her books, ‘Sisters of the Sword: The Warrior’s Path’ (with Helen writing as Maya Snow) was shortlisted for a major UK book prize. Helen also runs a publishing consultancy, SilverWood Books, regularly reviews indie and self-published books for the Historical Novel Society, is an Associate Editor for the interactive reader/author site LoveAHappyEnding.com, and for the past two years has been publishing tutor at the prestigious Marlborough College Summer School. 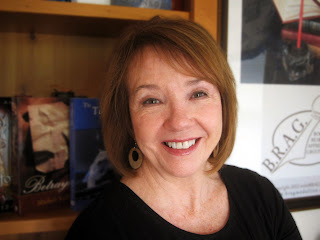 We are delighted that Stephanie has chosen to interview Helen Hart who is the author of, The Black Banner, one of our medallion honorees at http://www.bragmedallion.com. To be awarded a B.R.A.G. MedallionTM, a book must receive unanimous approval by a group of our readers. It is a daunting hurdle and it serves to reaffirm that a book such as The Black Banner merits the investment of a reader’s time and money. BRAG Medallion is owned and operated by indieBRAG LLC, a privaltaly held organization that has brought together a large group of readers, throughout the United States, Canada, and the European Union. IndieBRAG’s mission is to recongnize quality on the part of authors who self-publish both in print and digital books. We also have a new and up-coming project that is under way. More information coming soon. Your single source for quality self-publishing books. On the Goodreads scale: 4 out of 5 stars. I really enjoyed this book, which was surprising to me. I am usually not a fan of anything that falls within the paranormal genre. 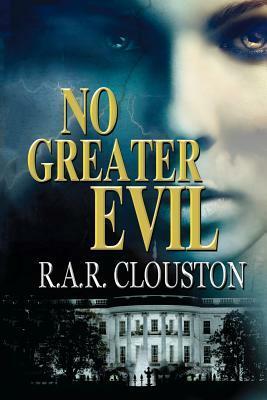 This book was definitely a paranormal book that I can enjoy. It is a cute story about two kids, Skye and Drake. 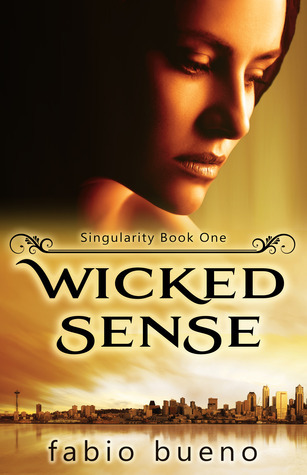 Skye is a witch, sent to Seattle to track down the “Singularity”, a super witch. Drake falls for her, and together they try to save Skye’s coven from untold harm. I really appreciated the fact that the book wasn’t 100% supernatural stuff, and what was there was written very well. It was easy for someone like me to really enjoy this book. I liked the story, which I thought was very cute, but not the typical annoying sweetness of most YA books. It took me no time at all to get into this book, and it was a quick read. What helped me to be able to enjoy this book was its setting. It is set in Seattle, not some mystical world. The characters act like everyday people with the exception of a few having magical powers. It wasn’t so far out there that I couldn’t get into it. I also enjoyed that it was written from both Drake and Skye’s perspectives. 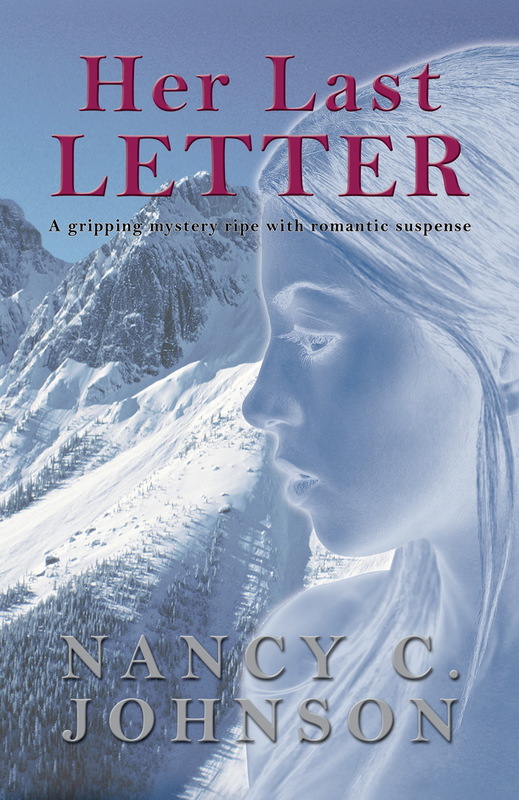 This is a great YA book – easy to read, and easy to enjoy. Folville’s Law is a book set in 13thCentury England and describes the advancement of Eustace Folville, an outlaw who grabs power due to the dismal law and order situation in the country. 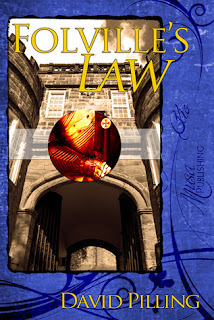 He and his rivalry with John Swale, a knight working for the Despensers are the focus of the series. With a background story of the return of Queen Isabella with Roger Mortimer to England and King Edward’s downfall, this is a fast paced story that manages to hold the reader’s interest constantly. The book constantly presents the story from different viewpoints with each chapter. But this does not confuse the reader and adds to the charm of the book. The characters are well etched out and have a strong background and give an impression of going somewhere. The author has a way of writing that manages to keep the reader reading. There are however some weak points in this book. Even though the characters are well developed, I did not empathise with any of them or even develop any strong feelings for them. This might result in some readers not able to sustain interest beyond a certain point in the story. The book seems well researched and gives a good feel of the times it is based in. I would definitely recommend this book to anyone interested in the period, or this genre. I would like to introduce Melanie Rose Huff, the winner of the BRAG Medallion for her book, Ashford. Thank you Melanie for the pleasure of this interview. I would like to ask you questions about your interests in reading. What was the last truly great book you have read? I would have to say The Elegance of the Hedgehog, by Muriel Barbery. Beautifully written and meaningful. What were your favorite books as a child? Alice in Wonderland, Winnie the Pooh, The Jolly Postman, The Phantom Tollbooth… I also loved fairy tales and pretty much anything with Arthur Rackham illustrations. What is on your night stand? Lamp, Kleenex box, clock, lip balm, several books, tonic water, a sweatshirt, and, of course, a notebook and pen. It’s kind of a mess. What do you plan to read next? 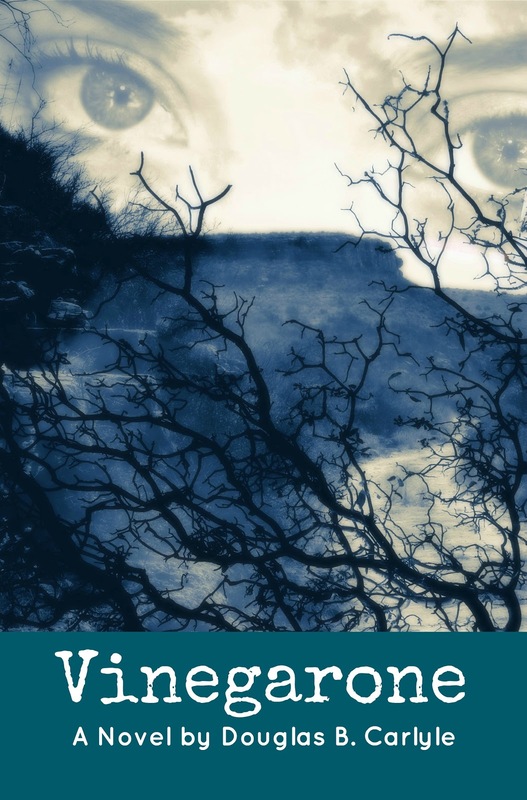 I just ordered my copy of Victoria Dunn’s Alice Hearts Welsh Zombies. Zombie books are generally pretty low on my reading list, but I’ve been following Victoria’s blog, Handmade by Mother, for over a year now, and I’m a huge fan of her writing style and snarky sense of humor. What’s your favorite literary genre and why? I like a little bit of everything, but historical fiction probably wins. Most of all I like writing that reads like music, in any genre. It can be Mozart or The Beatles (I prefer it if it’s not Justin Bieber) but it should have a rhythm, a melody. Melanie, please tell us about your book, “Ashford.” Well, it was kind of a happy accident. I was between writing projects, and I wrote the opening scene…then I liked the characters so much that I had to see where the story went. Did you do any research for your story? If so, were there any challenges? I did a lot of research. I had a stack of books on WWII, and timelines all over the place, but I really wanted it to be a story about ordinary people, the people at home trying to carry on with their normal lives through the chaos, and my best help with that came from the BBC. They’ve compiled an amazing online collection of firsthand accounts of the war years. You can type in pretty much anything you want to know and there will be a long list of stories, written by the people who experienced it. It’s amazing. There’s so much color and personality to them, and reading them is such a perfect way to find those little details…smells and sounds and emotions. For a writer, or really any sort of storyteller, it’s like opening a treasure box. I used them again for my new novella, Violet Shadows, which just came out. Was there any scenes you found difficult to write? Many. I always procrastinate over writing intense scenes, like the scene with the young man in the wheelchair, or the Christmas scene in the hospital. It’s not even that I find them difficult to write, per se, but that they take me over. They’re very fulfilling scenes to write, but they’re also very scary and exhausting. You’re channelling the actions and emotions of everyone in the scene: anger and fear and love and hate and God knows what else. When you’re done you’re bound be exhausted. That’s how you feel sometimes: triumphant and bone-weary. Is there a character in your story you feel most connected to? Definitely Anna. I think it would be very difficult to take three years writing a novel in first person and not feel connected to your protagonist. 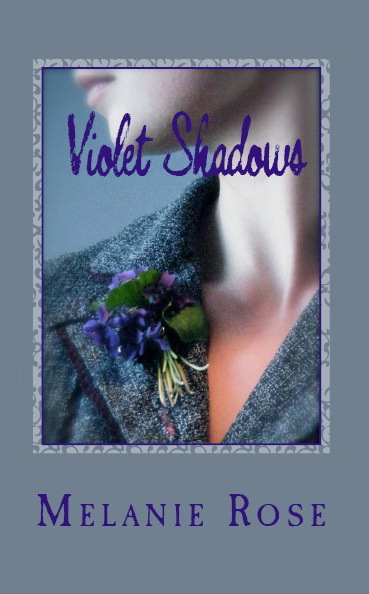 I also feel very connected to Violet, which is part of what led me to continue her story in Violet Shadows. Neither of them is me, but there are parts of me in both of them. I think as writers we all pull from our own experiences, and then inject those experiences into the context of another life. I never lived through war, but I survived cancer ten years ago. It’s all there: fear, threat to life, the finding of strength and serenity inside yourself. It doesn’t matter where you got the emotions. They’re yours, and you can use them to express the feelings of others whose lives are outside your experience. What advice would you give to an aspiring author? Don’t be afraid of rejection or criticism. Use it, but also trust yourself, because only you can write your book. How did you discover indieBRAG? A fellow author in an Indie Author group I’m part of mentioned that his book had been chosen for the B.R.A.G. Medallion. It sounded interesting, so I looked it up. Melanie Rose has been writing since childhood. 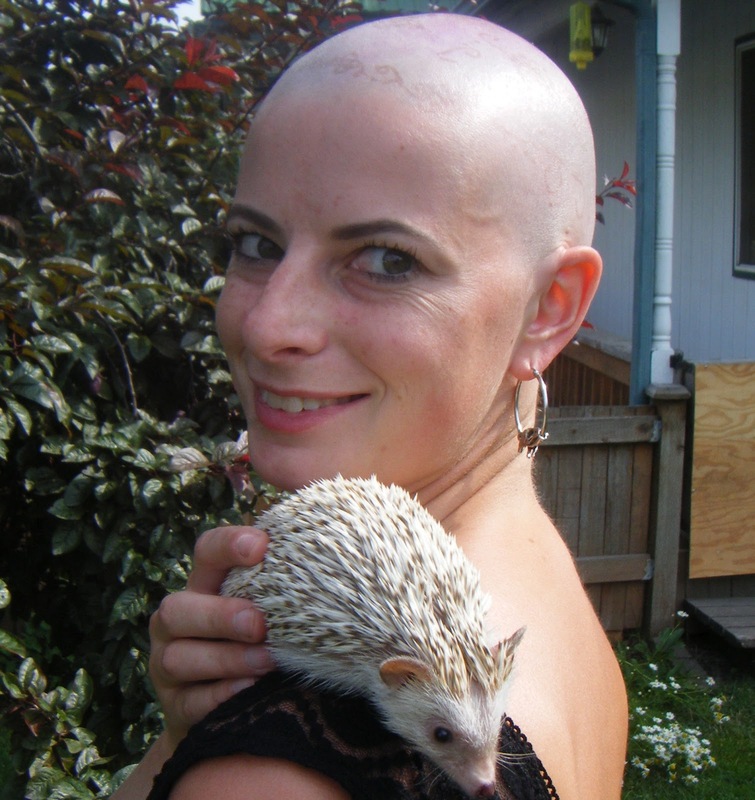 She currently resides in Chewelah, Washington, with her husband, singer/songwriter Aaron Gabriel, their dog Leo, and a hedgehog named Ferdinand. She loves to dance and travel. 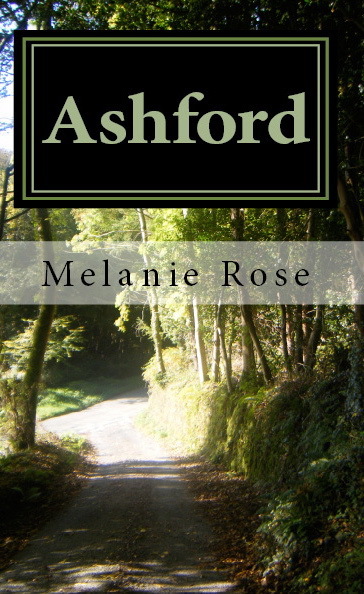 Her debut novel, Ashford, was awarded the B.R.A.G. Medallion in 2012. Her most recent book, a novella titled Violet Shadows, was released in July of 2012. We are delighted that Stephanie has chosen to interview Melanie Rose Huff who is the author of Ashford, one of our medallion honorees at http://www.bragmedallion.com. To be awarded a B.R.A.G. MedallionTM, a book must receive unanimous approval by a group of our readers. It is a daunting hurdle and it serves to reaffirm that a book such as Ashford merits the investment of a reader’s time and money.